A great value in seat protection and travel comfort for your dog! 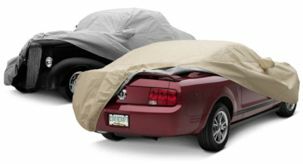 Semi-Custom seat protectors are great for multiple vehicle use, or if a custom fit is not desired. The rounded corners look more tailored and, like the Custom version, this style also features the quilted padded seatbase for your dog's travel comfort.